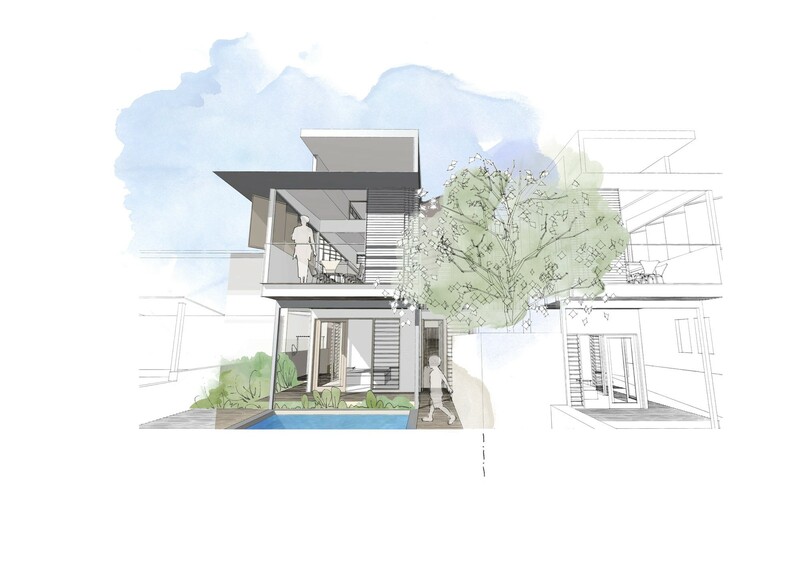 Two Sunshine Coast holiday apartments shared by two Brisbane families, designed to maximise elevations and views, offering simplicity with a beach feel. 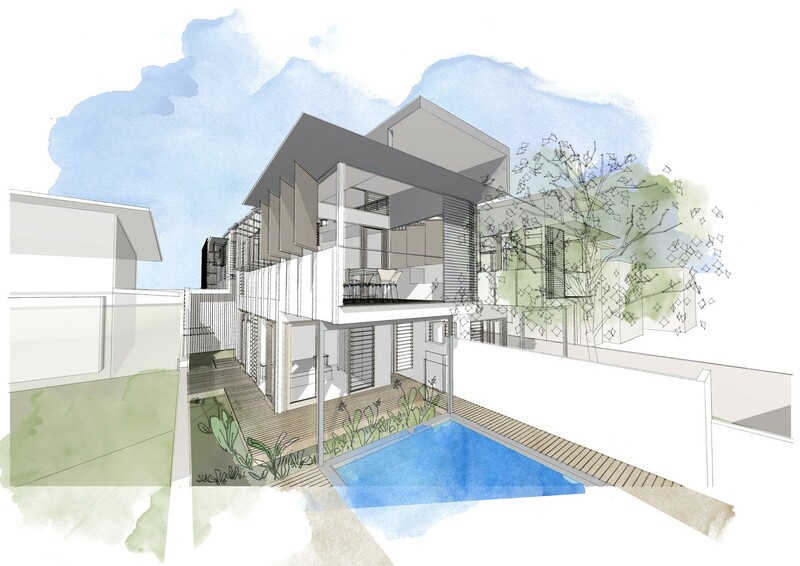 Once a small holiday house shared by two Brisbane families, this 506m² site on Sunshine Beach has been transformed into two separate holiday apartments, one for each family to rent or holiday in as they please. 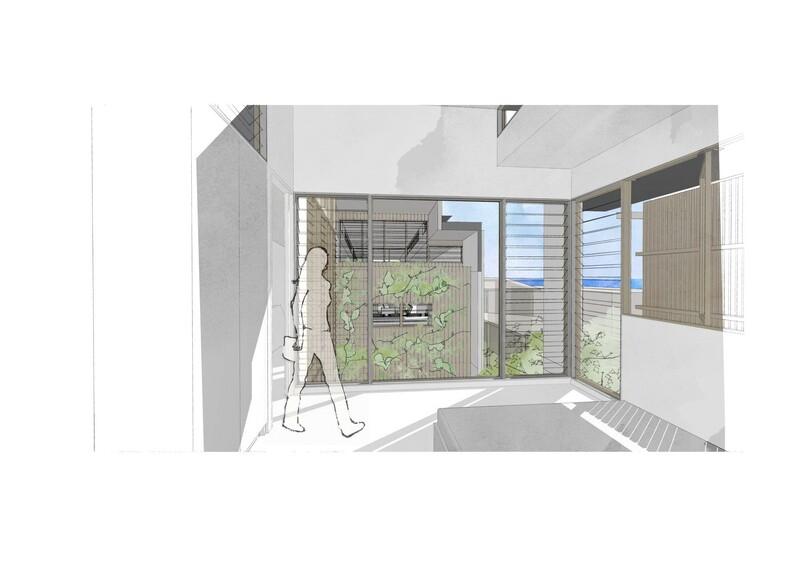 Working around the existing trees on the site, these holiday apartments mix simplicity with a beach feel. 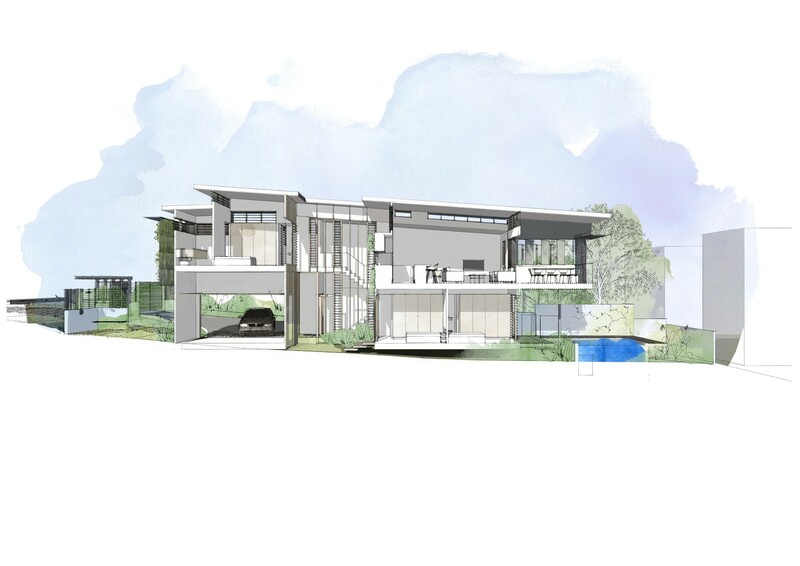 Both have been designed to maximise ocean views as a priority identified by the owning families. 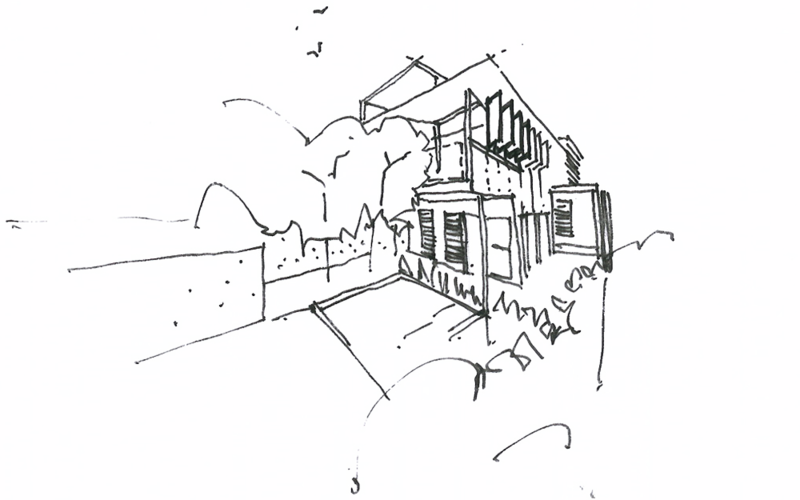 Another design consideration pushed by the owners was to ensure both spaces could be easily maintained. 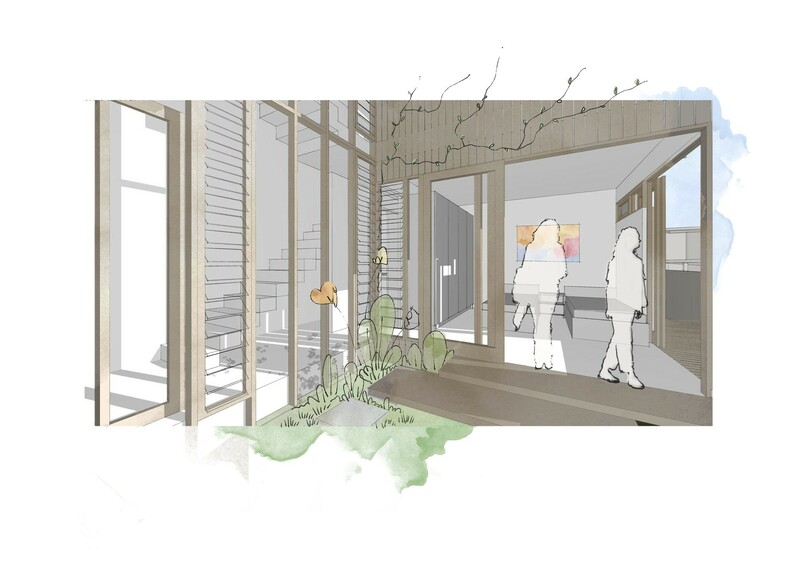 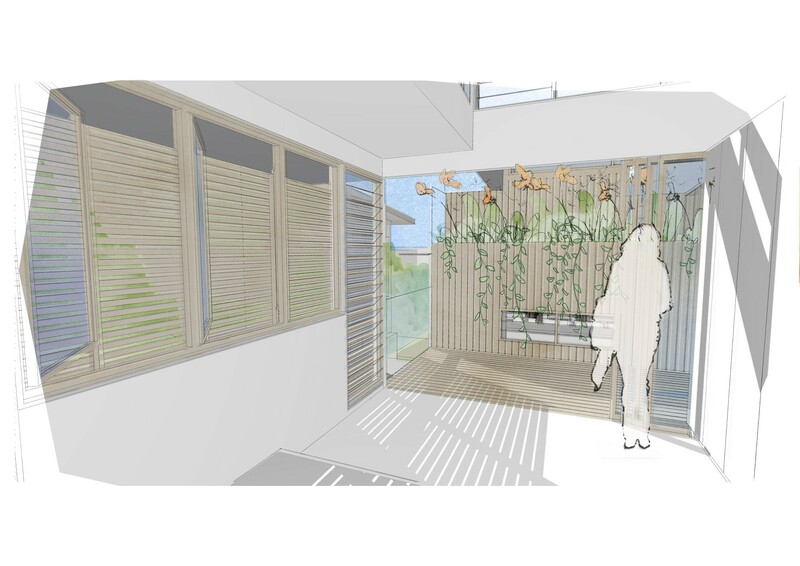 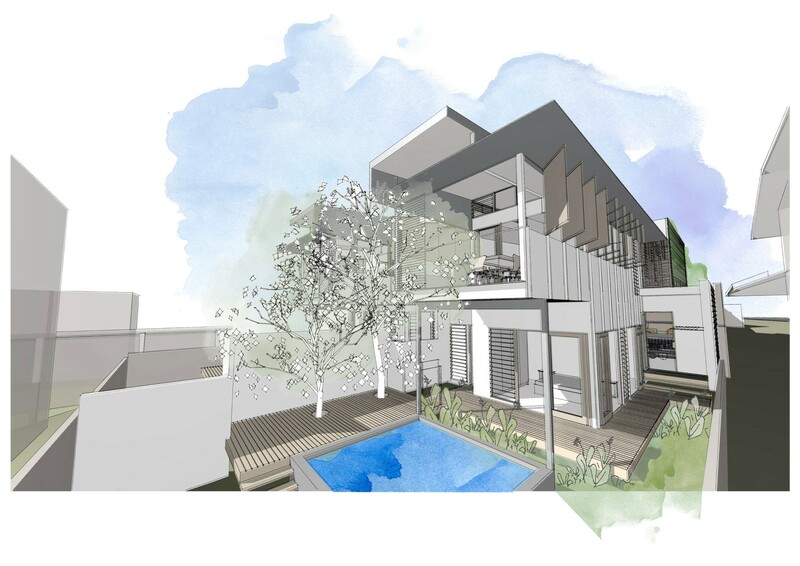 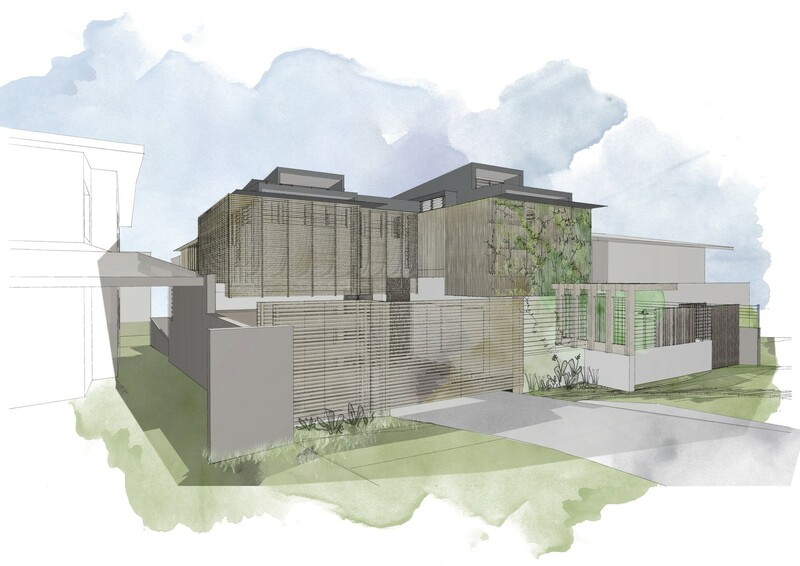 Green screens and vertical timber on the west create privacy for each apartment, along with plantation shutters and fins for protection from south easterly winds. 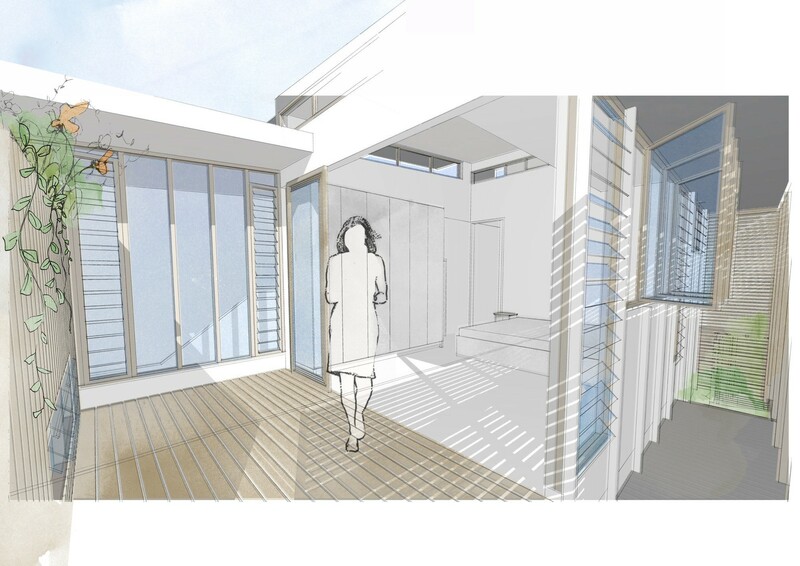 To keep the heat at bay, casement windows were integrated into the design to catch the north east breezes and high level louvres for natural ventilation. 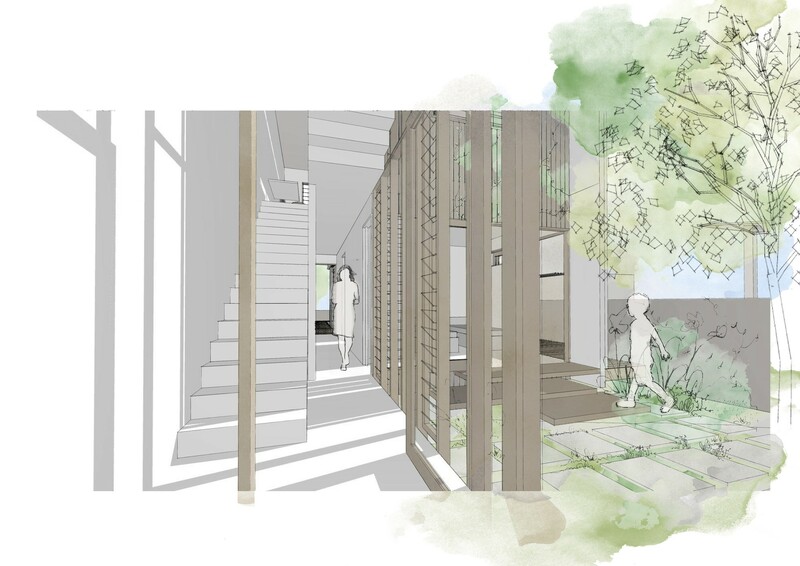 Private courtyard spaces and plunge pools offer relaxing leisure areas for families to enjoy.